Make way for one of the biggest stars in Acoustic rock… James Bay is coming to Paramount Theatre Seattle on Wednesday 3rd April 2019. As James Bay hit the music scene in 2014, he hit a huge success with his groundbreaking single "Hold Back the River" that both his UK fans and US fans just could not get enough of! Now with a solid collection of wonderful songs he is ready to once again hit the stages across North America on a Spring tour! Tickets on sale now – don't forget to book yours!! 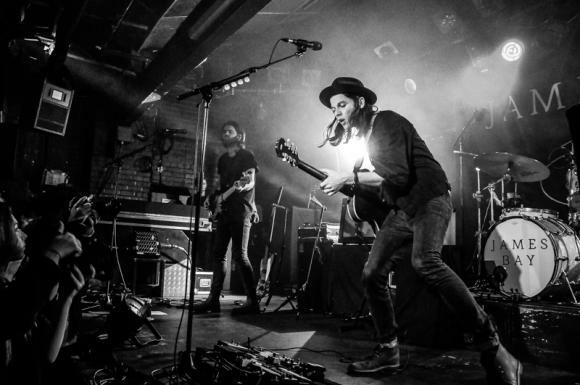 James Michael Bay AKA James Bay is one of the most talented songwriters on the scene right now! With his platinum success in 2014, he graced the world with his debut album 'Chaos and the Calm" which included the groundbreaking song that put him on the map and showcased just how good he was. The next couple of years for Bay would be life-changing, with the explosion around "Hold Back the River" he was instantly taken around the world to play it live to his adoring fans. A tour that wouldn't stop for a long time… Last year he took to the road across the US and gave his North American fans yet another unforgettable show! But in 2019 he aims to make it even bigger and better than the last! As he released his next album just last year, 'Electric Light' the musician was pushed even further into the limelight and yet again took the world by storm. As he rocked every performance, there's no doubt in mind that 2019 will be yet another display of his sheer talent as an incredible songwriter, vocalist, guitarist and performer. Come and get prepared for the big night as tickets are already on sale – but be warned, these will sell out fast as every one of his previous shows has proven! !